I admit to not being a fan of candy corn. It’s allright and I’ll have a couple of the Brach’s brand every Halloween. But I am a fan of Oreos and most of their flavors. 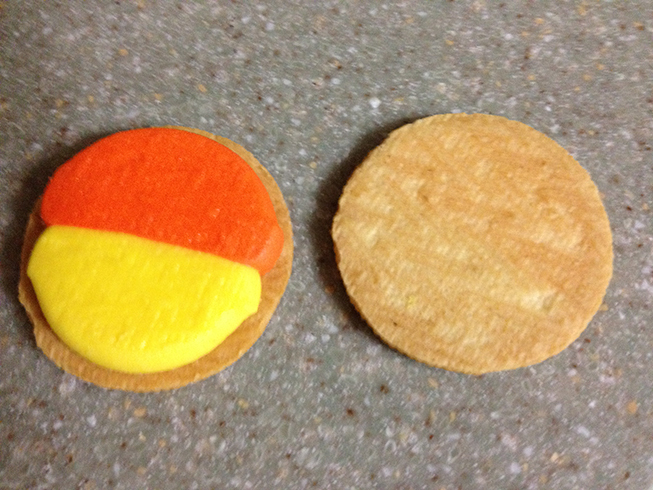 So when the craze about these Candy Corn Oreos went around the web last week, I had to see if I could find some. And I did at Target the other night. So how were they? Actually really good. 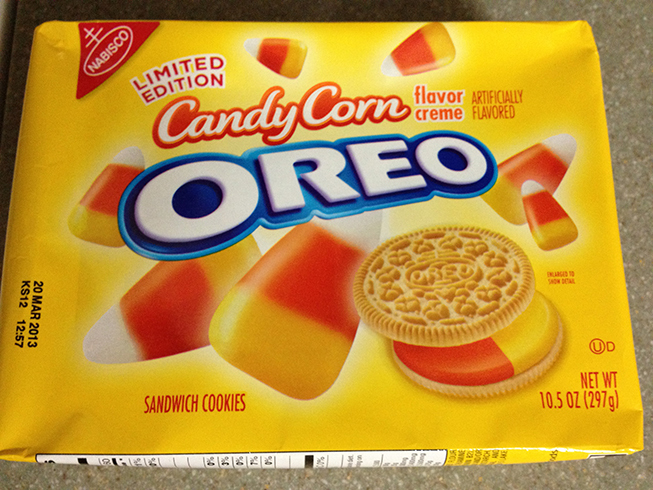 No odd taste, other than the lack of my like for candy corn in general. But I really did like these. And so did my wife, who is a big candy corn freak. She said they taste just like candy corn, which I had to agree with. If you can find these in your area, and you are a fan of Oreos, do give them a try. One negative – you hardly get any in the package for $2.99. The last limited flavor of Creamsicle I tried was 15 oz. This package is barely 10 oz. But if you gorge on these cookies like most of us do, that’s a good thing. Let me know if you’ve tried them and if you like the or not. Katie, who hates candy corns, and I, who love them, both loved these Oreos. Yay… another fan of these. They were good, I just wished they would have stuck around in stores longer. Ugh, I hate that they put less in the special editions! But I used to LOVE candy corn and co not eat it now (it’s has gelatin in it) so I HAVE to try these. OH my wife LOVES candy corn, I’ll have to get her some of these. Yes, they were tasty and if she loves candy corn, she should like them.